Tanner Williams Elementary is celebrating its 100th anniversary with an open house-style celebration, allowing visitors to take one last stroll down memory lane before the original school building is demolished this summer. Known for its small student to teacher ratio and close-knit community relationship, Tanner Williams Elementary has touched many students, teachers, and parents lives over the years. Located in the rural outskirts of Wilmer at 13700 Tanner Williams road, the elementary school is the backbone of the community. (Photo by Tama Ferster Carter) Joyce Byrd, a member of the Tanner Williams Historical Society, attended Tanner Williams Elementary from 1946 to 1955. 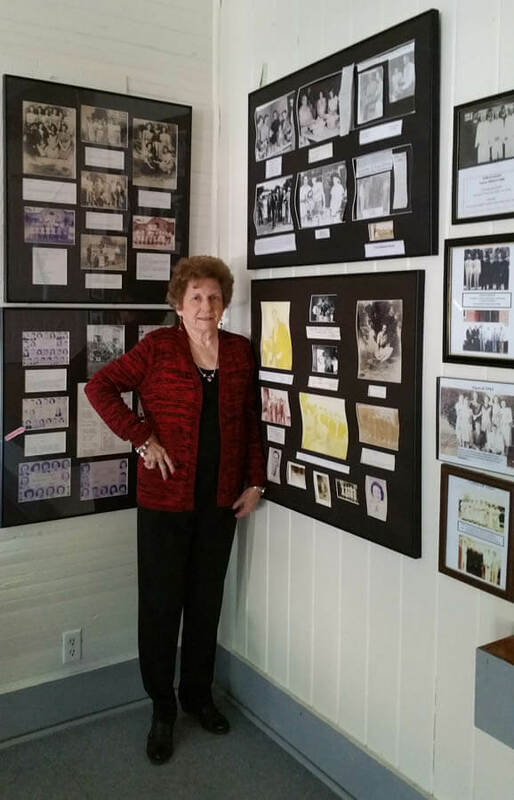 Joyce Byrd, a member of the Tanner Williams Historical Society, is sad to see the building go yet understands how important it is for students to receive adequate resources. “I love the fact that the school has always cared about the students,” Byrd said. Byrd attended the school from 1946 to 1955 and has always admired the community’s loyalty to the school. “Whether it was a teacher, janitor, cafeteria lady — it didn’t matter. Everyone cared about the students, including the surrounding churches and businesses,” Byrd said. In February, construction began on a new, modernized school, which will allow students access to up-to-date classrooms and technology labs. The new school is being constructed in the former parking lot, alongside the current elementary school. The new building will occupy grades kindergarten through second, as well as a new library, technology lab, and cafeteria. 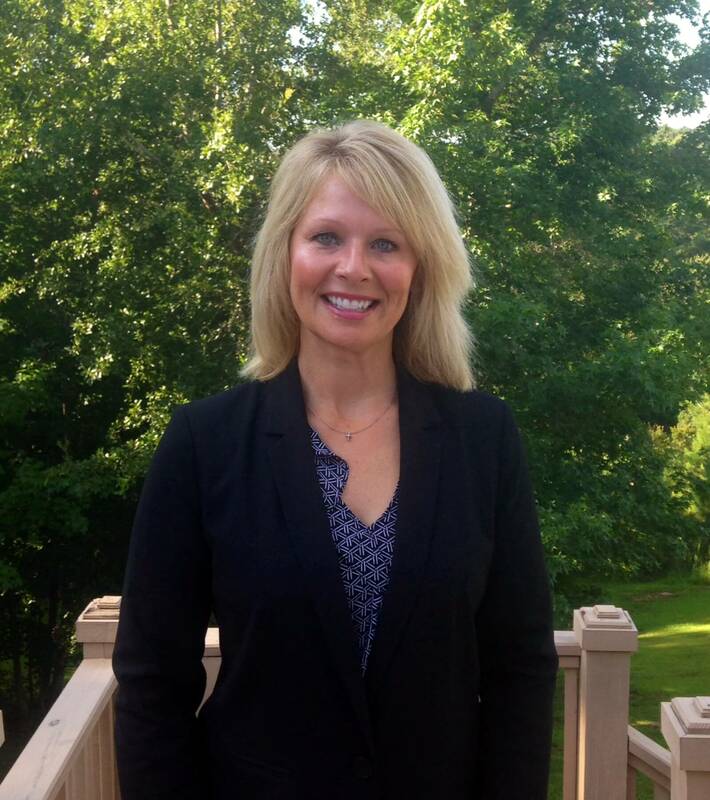 “We are excited about our new school,” said Principal Nici Lowell, who is serving her first year as principal at TWE. After the current school building is torn down in the summer, renovations on the back building will begin, moving third to fifth grade students to portables until renovation is complete in the Spring of 2017. This new building will have 12 classrooms and a technology lab. “It has been really neat to watch its progression. We have been documenting and taking pictures along the way so we will have a scrapbook for our new library and historical society,” Lowell said. The original historic school, founded in 1915, helped create the legacy of leadership and success that the Tanner Williams Elementary is well known for to this day. 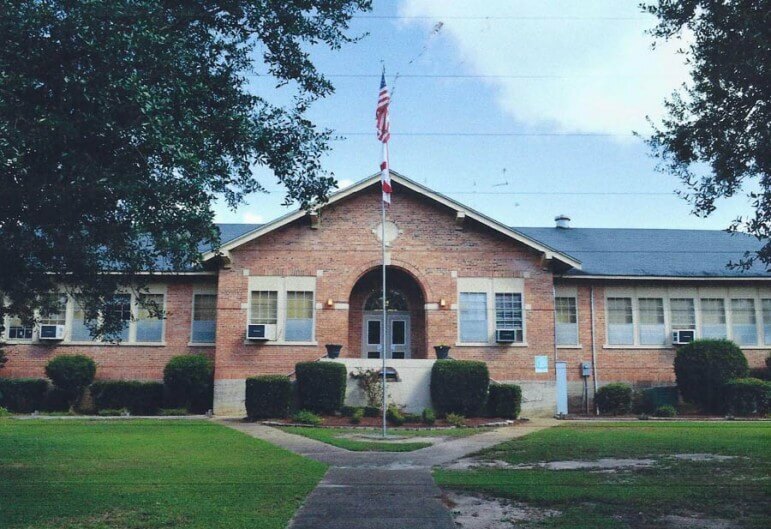 The history of Tanner Williams School began on July 7, 1914, when the Mobile County School Committee recommended that a school be built in order to combine Tanner and Williams Schools. On the behalf of the Tanner Williams Community, J.J Tanner donated two acres of land and personally foresaw the construction work deemed necessary to create an educational institution that would unite neighboring communities. (Courtesy of Joyce Byrd) The original Tanner Williams Elementary was built between 1921 and 1922. It will be demolished after construction is complete on a new building next year. The three-roomed school house began greeting students in 1915 and taught grades first through eleventh. As the school grew, one room was dismantled, with workers numbering each board, and was rebuilt in the same order on the south side of the school. Later on, an agricultural shop was added, where students learned how to do farm work. Children from the Palestine School, located in the near-by community of Pierce Level, also joined Tanner Williams School. Students who lived more than two miles from the newly integrated school rode wagons to attend classes each morning. In 1921-1922, construction began on a large 11,000 square foot red brick building across the street from the unprecedented school on Tanner Williams Road. It became occupied in 1924; both buildings were used for Tanner Williams educational purposes. In 1943 a cafeteria was developed within a small room near the middle rear door of the new brick school building. Students would pick up their food and milk and return to their classrooms to enjoy their lunch. High School students, on the other hand, ate their lunch on desks lined in the hallway of the school. The Cannery building was constructed next to the original Tanner Williams School in 1946 for canning produce. The Mobile County School Board added a five-year-old kindergarten program in 1980, which was held in the newly renovated “Cannery Building.” In 1984, a new ten room wing was built for the newly adopted kindergarten program. It was added to the 11,000 square foot, red brick building which is the current Tanner Williams Elementary School. “We brought our lunches to school everyday in a sack or bucket as there was no cafeteria when I attended school there,” former student Clyde Gorum said. 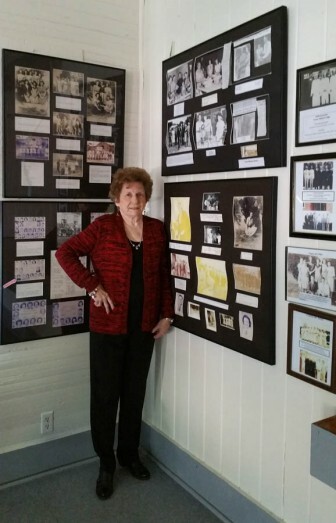 Gorum started sixth grade at Tanner Williams School in January 1936 and graduated from the school in 1941. His sixth and seventh grade classes were held in the red brick building and eight grade classes were held in both buildings-continuing from ninth grade until graduation. The 93-year-old always looked forward to Field Day when all of the county schools such as Semmes, Wilmer, Grand Bay, Theodore and Bayou la Batre would come and compete in outdoor competitive activities such as relays. “One Field Day, I saw a beautiful girl playing softball on the field by the wooden building. She was dressed in red shorts and a white blouse. I learned her name was Mary Graham from Semmes. Later on when I returned from the service, we were married and have been for 68 years,” Gorum recalled. Tanner Williams School provided extracurricular activities such as sports for attending students. Basketball was a favorite among students. Former student Murray Driskell attended the original school and graduated from the 11th grade in 1939. The 93-year-old recalls playing basket ball during his senior year. “Citronelle was one of our rival schools that was much bigger than our school. We finally beat them,” Driskell said. Many of the school’s historical items such as trophies, pictures, school furniture, among other memorabilia can be viewed at the original Tanner Williams School, currently known as the Tanner Williams Historical Society building. The Society, organized in 1995, restored the historic school building and transformed it into a museum and meeting place for community activities. It stands across the street from the current elementary school and is a constant reminder of the past vs. the present. During the Dec. 11th celebration, visitors will be allowed to visit the current school as well as the original Tanner Williams School/Historical Society. “There is so much history at Tanner Williams Elementary,” former student, Linda Byrd said about her childhood school.